DJ Mixstation is a powerful mixer that any future DJ will really like. 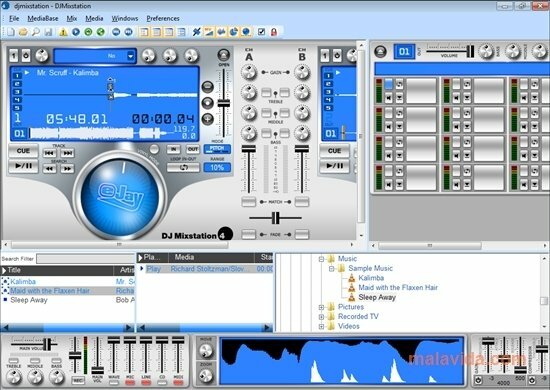 It has two virtual decks and is capable of mixing files in formats that are so popular as MP3, WMA or WAV. With a very intuitive interface, it is a very easy-to-use software application that offers a wide variety of options. To mix our music files we will have a wide range of sound effects and filters, a powerful equalizer that will allow us to modify the sound to our own liking, and a set of practical controls that will make us feel as if we were real DJs. One of the most noteworthy features of DJ Mixstation is its capacity to recognize the style of the music that we are mixing at any given moment, and to perform the mix automatically. We will also have a dynamic beats viewer that will show the peaks and falls, and the general rhythm of the songs that we are mixing. 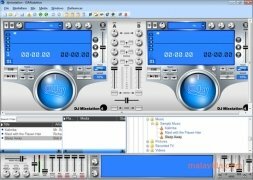 DJ Mixstation is a complete software application that will satisfy both newbies as well as professional DJs. This download requires a ZIP compatible compressor. The trial period lasts for 30 days.